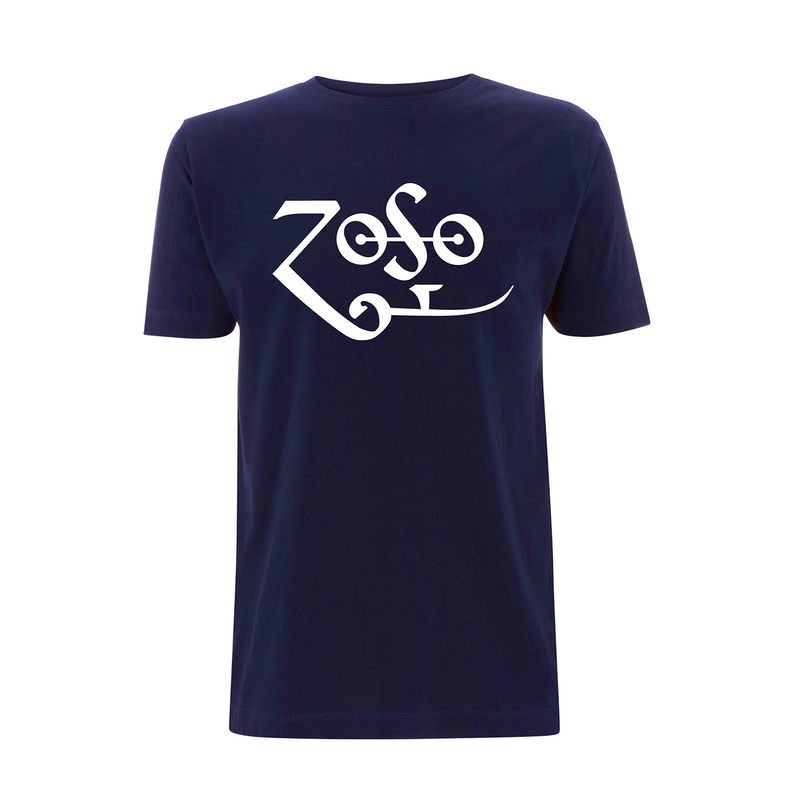 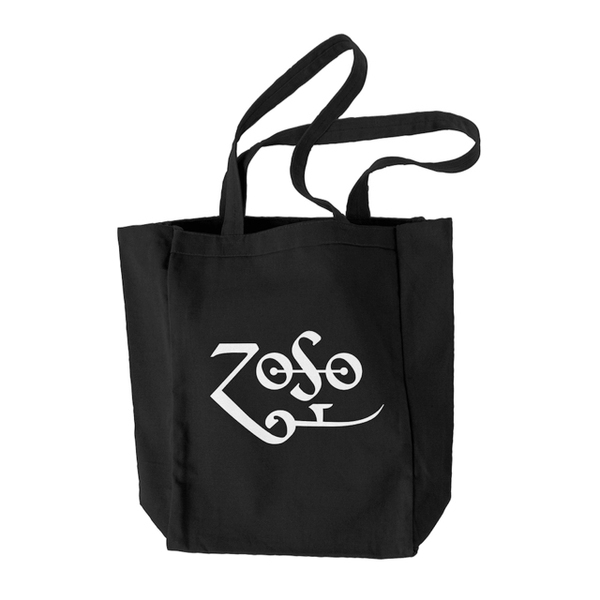 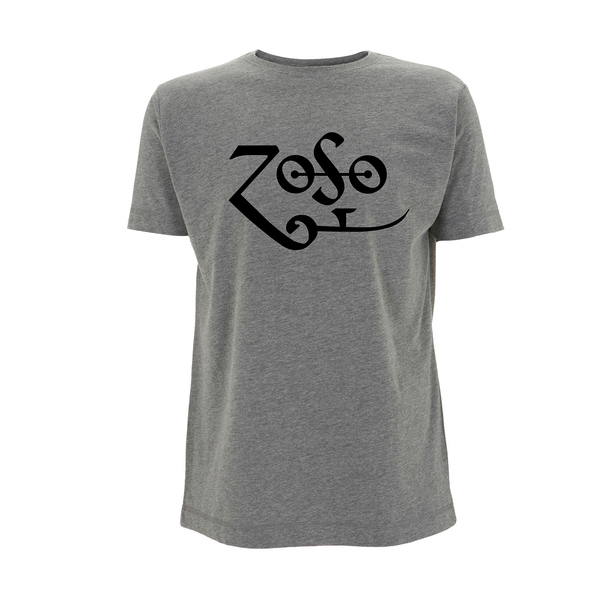 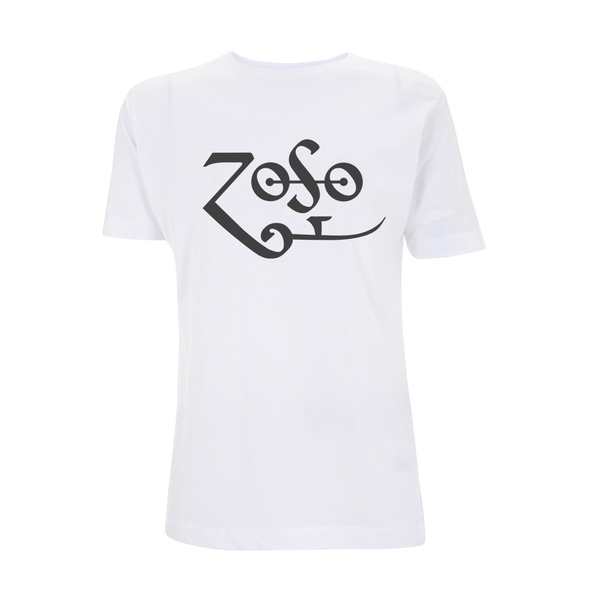 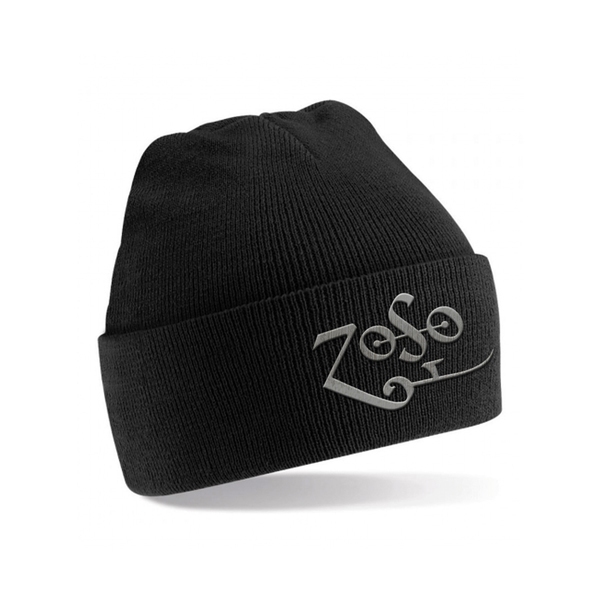 The official, classic Jimmy Page Zoso navy t-shirt is now in store and available to order in sizes from small to XL. 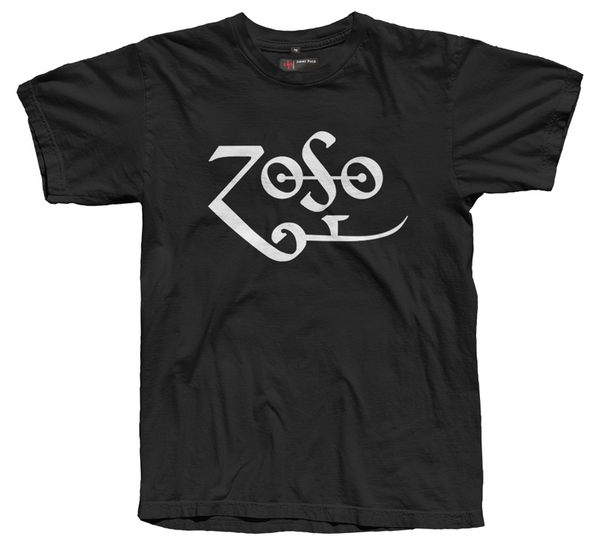 Except no imitations: this is the real deal. Featuring a discharged white Zoso print and custom JP inner neck label of authenticity, this 100% combed cotton navy t-shirt looks awesome and feels great to wear.